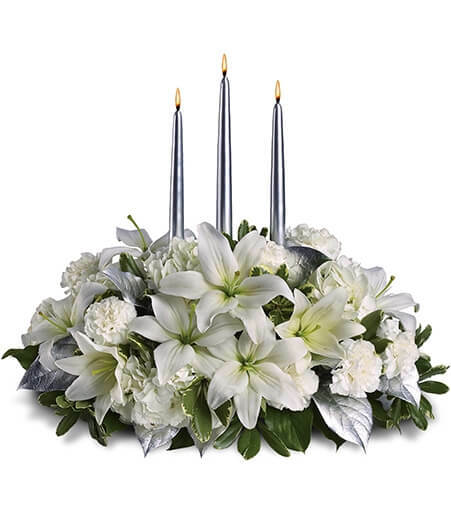 Some of the best get well soon arrangements are bright and cheery in order to help brighten the mood of the sick or injured person. 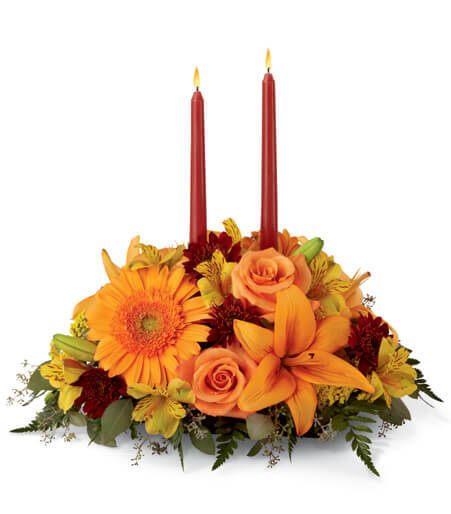 Bright yellows and oranges are radiant like the sun but also represent compassion and respect making it one of the most popular colors for get well soon arrangements. If you want to send hospital flowers for a woman, you can stick with traditional pink flowers, or stick with get well colors like yellow. 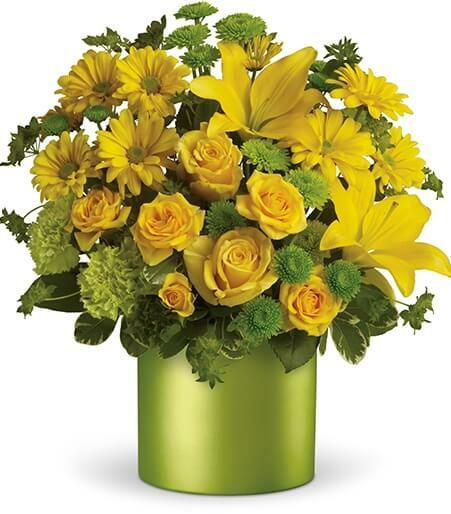 The Basket of Cheer arrangement is a perfect combination of feminine pinks and cheerful yellow that are appropriate to send to a hospital for a get well soon arrangement. 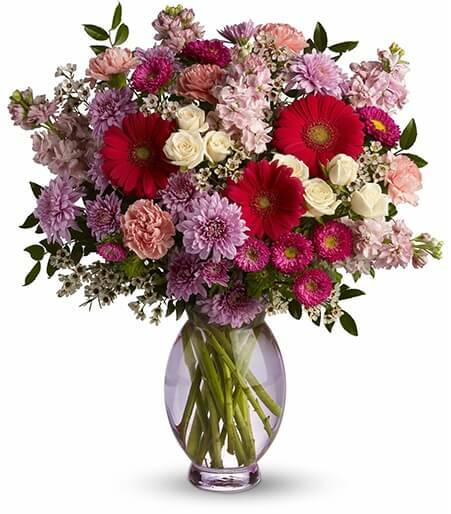 While the Teleflora's Perfectly Pleasing Pinks is a stunning feminine all pink arrangement. Even men like to receive flowers when they are in the hospital. Don’t forget to send any guy in your life your well wishes as a get well. 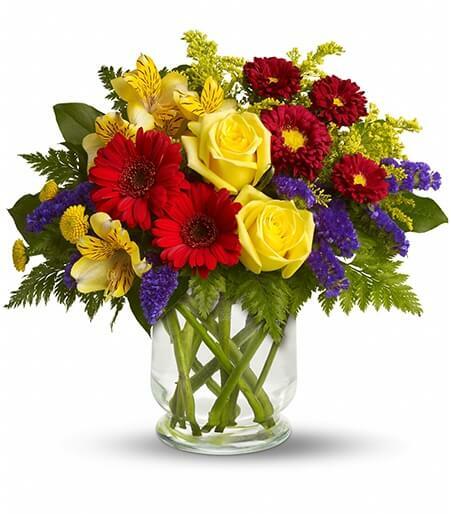 The Garden Parade is an amazing arrangement that has many bright flowers that are still masculine, like red gerbera daisies and yellow roses. 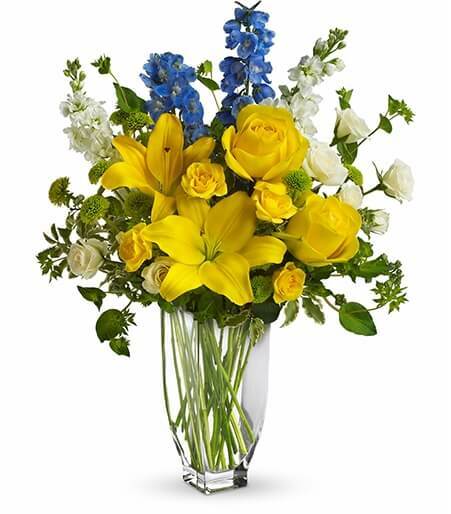 Meet Me in Provence is another beautiful arrangement with bright yellow flowers but this is accented with blue delphinium. 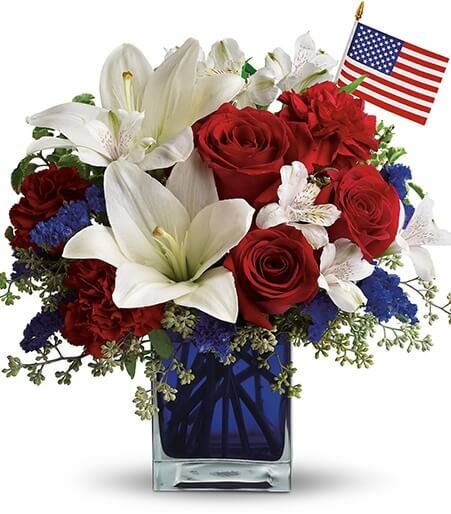 If you are sending hospital flowers on the birth of a new baby girl. 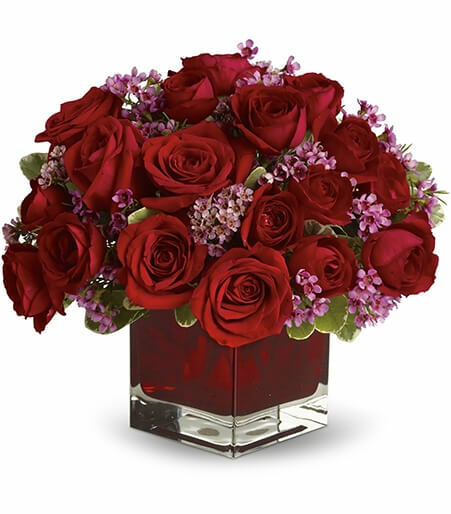 An all bright pink arrangement would be perfect in showing your pleasure and happiness on this new bundle of joy. The She’s Lovely arrangement has a gorgeous balance of both pale and hot pink flowers that are suitable on the arrival of a new baby girl. 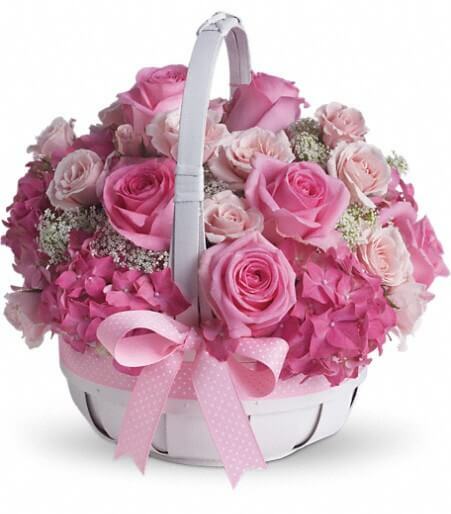 The Best Year Basket would be perfect in welcoming the new life of a girl or boy. The cute basket of bright flowers is accented with an adorable teddy bear that the child can keep forever.